Last week I posted a status about a mini Hazelnut gathering. A friend from high school asked me to enlighten her on what this meant. It occurred to me that I have a lot of friends that have no idea what a Hazelnut is. Simply, a Hazelnut is a fan of the rock band Sister Hazel. But for those of us who consider ourselves Nuts, it’s so much more. Gil dragged me to my first Hazel show back in 2005 and I was hooked big time. We signed up on the fan message board and we’ve been blessed ever since. We met this group of people online, and most eventually in person, who have become family to us. All of us share a common interest in music, music and more music. It’s this common interest for which we keep coming together and growing in numbers. First it was a Sister Hazel weekend in SC, then a show here and there. Next it was the Rock Boat and our group of Hazelnut friends just grew exponentially. Then we did Rock by the Sea and numerous festivals and Lyrics for Life. We opened our home to these people and so many have done the same for us. With each new experience we gained more family members. 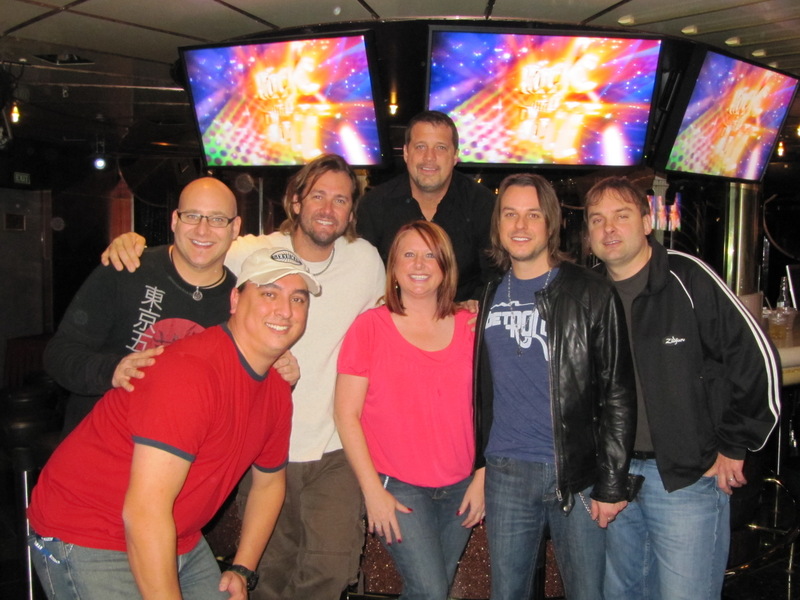 Now we have friends that we met as a result of one of these Sister Hazel related event but they may or may not be diehard fans of Sister Hazel so much as merely fans of music. This new family of ours is a group of the most caring, giving, bighearted, compassionate people you could ever meet. When someone is in need, they provide what they can. When there’s a birth, illness, death, any life transition, these people come thru with support, love and generosity. And don’t even get me started on the countless hours and dollars donated to charities. No one wants to take anything or anyone for granted but I know I can always count on my Nuts. They are full of fun and surprises and you never know when one might turn up unexpectedly. It doesn’t really matter though, because they will always be welcome no matter what. Kelley, thanks for asking the question. I decided to create some photo albums (2006, 2007, 2008) spotlighting my life with the Hazelnuts over the last 3 years. I can’t tell you how much fun I’ve had reliving these memories with each photo. I love these people and I don’t get to see some of them as often as I like but I have these digital memories I can always turn to for a smile, laugh or even a tear or two. A couple of years ago Gil wrote an article for the NUTS newsletter that explained what being a Hazelnut meant to him. He says it all so much better than I ever could so I’m going to re-post it here. Enjoy! There are things in life that are generally hard to understand except to those individuals involved in that particular subject matter. That definitely holds true when it comes to being a Hazelnut. For most people, being a Hazelnut is akin to being a cultish groupie. For those of us fortunate to call ourselves Hazelnuts, it’s something completely different.Let me tell you what being a Hazelnut means to me. It means knowing every lyric of every song and every meaning behind every lyric. Being a Hazelnut means appreciating the history of the band and anticipating everything new and exciting that has yet to be released. From sharing memories of shows with old friends to introducing new fans to the band’s music, the most essential part of being a Hazelnut is being a member of a great community. The Hazelnut community not only shares the common interest of music in general and Sister Hazel in particular, it also carries the common characteristics of compassion, service and charity. It’s about being a fan while also following your heart and helping one another. Hazelnuts create a community in which all can contribute and no one is made to feel alone. It is rooted in love and hope, and it is this same love and hope we find in the band’s music. For me, it is a thrill and an honor to be a part of something so special and something on the verge of becoming even greater than it already is. As we continue to grow as neighbors united through song, I invite you to focus on whatever it is that drives you to be a Hazelnut and share it with someone new. It is with your support we grow as a community and continue to make Sister Hazel a household name and being NUTS a household idea.